As a provider focused on preventing injuries for our patients, Horizon Rehab also provides services to help ensure people don’t get hurt on the job. Our occupational care services are offered as a way to help employers hire the right workforce, prevent work-related injuries, and get injured employees back to work faster. Horizon Rehab performs periodic physicals required of drivers with a commercial vehicle license to identify potential physical, mental or emotional defects that may impact the driver’s ability to drive a commercial vehicle safely. Horizon Rehab’s drug testing services are designed to fit a wide range of situations. Drug screening options include pre-employment screenings, random testing, past-accident testing, for-cause testing and Department of Transportation testing done to federal regulations. 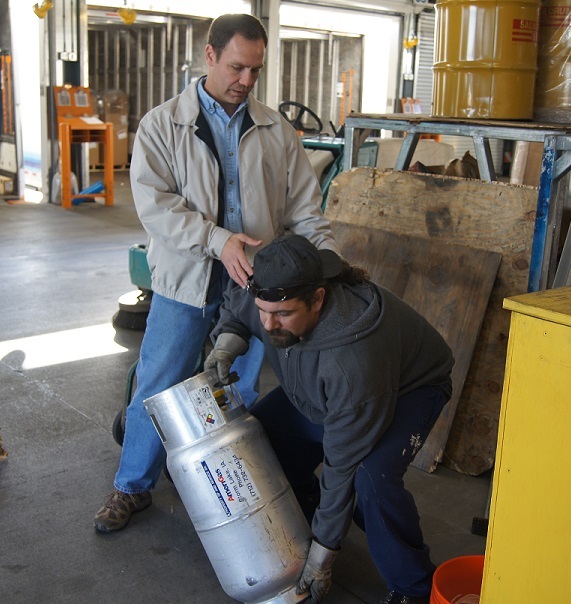 As part of Horizon Rehab’s Return to Work program, employees are educated about proper workplace conditioning, including lifting techniques, proper posture and ergonomics. Employees are monitored and data is collected in an effort to reduce risks for workplace injury and costs for employers. An injured employee goes through a series of tests to help the employee, the employer and the employee’s physician determine if it is safe for the employee to return to work. Employees are assessed on their ability to perform work-related tasks that include, lifting, positioning and movement. The employee’s effort, performance consistency and self-limiting behavior are also evaluated and documented to create customized Functional Capacity Evaluation. Horizon Rehab will conduct job-specific assessments of several critical jobs at your facility. Potential employees are then screened based on the results of those assessments to determine if they can perform the expected job requirements. When an employee is injured, Horizon Rehab offers a number of physical therapy and rehabilitation services that not only treat the injury, but educate employees on ways to avoid future injuries. Physical therapy services are available in our clinic or on-site at your facility. By visiting your job site and evaluating employees work, Horizon Rehab is able to assess the physical requirements for each job to ensure you create and accurate job description with realistic work restrictions. An effective way of stopping employees from using drugs after they’ve been hired, Horizon Rehab’s on-site random drug testing for companies with more than 10 employees as way to increase productivity and reduce company liability and turnover. While partnering with Atlas Ergonomics, Horizon Rehab is able to make sure employees posture and position while performing job-specific duties don’t lead to acute or chronic pain. Each employee is assessed based on their job responsibilities. Using our Physical Capacity Profiling Testing software system, Horizon Rehab is able to assess strength levels of employees and gauge them against established levels to ensure your employees can perform their everyday job duties safely without risking injury. If you are looking to help reduce the risk for workplace injury and hire the right people, call our Occupational Care Center in Omaha at 402-933-8900 to speak with a member of the Horizon Rehab team and learn more.